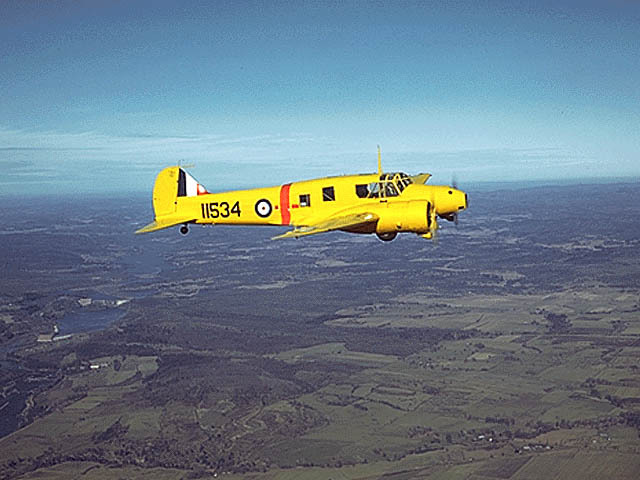 Avro 652A Anson I : The Avro Type 652A Anson was evolved by a design team headed by Roy Chadwick in 1934, responding to a specification calling for a coastal patrol landplane. 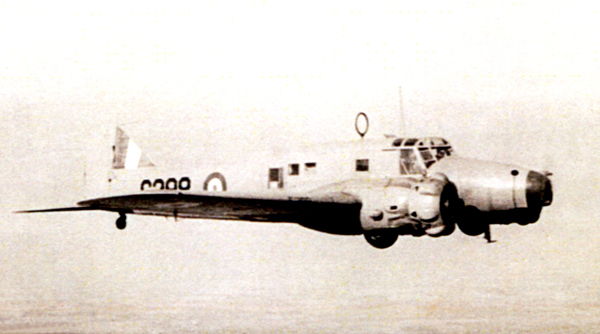 The RAF requirements indicated an aeroplane of similar characteristics to the Avro 652 (see previous entry) already designed for Imperial Airways, and the Type 652A was of similar size and configuration, with 295 hp Cheetah VI engines in helmeted cowlings; larger, square, windows; provision for an Armstrong Whitworth hand-operated dorsal turret with a single 0.303-in (7.7-mm) gun, a single forward-firing Vickers gun of similar calibre in the fuselage, and a 360-lb (163-kg) bomb-load in the centre section. A single prototype was flown on March 24, 1935, and production was ordered on May 25 to Specification 18/35, with later batches to 16/37 and 34/37. 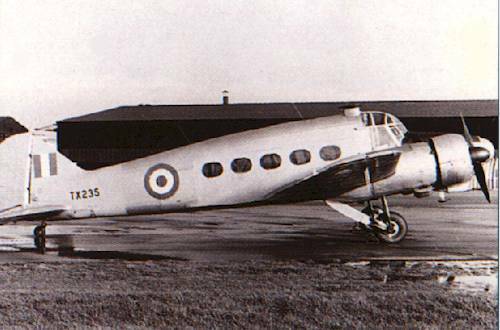 Avro Anson Mk I: Initial production version, differing from prototype in having 350 hp Cheetah IXs and increased cabin windows. 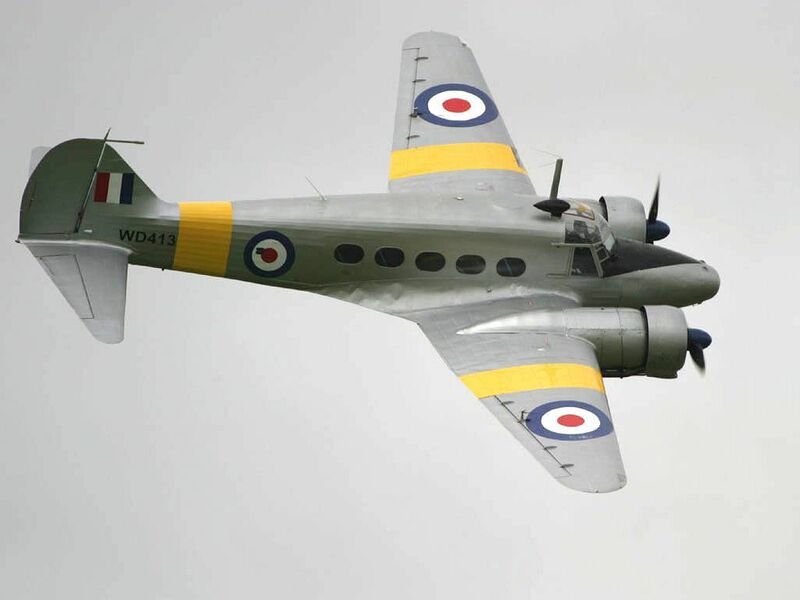 First example flown December 31, 1935; deliveries to RAF began in February 1936 and first squadron, No 48, commissioned at Manston on March 6, the Avro Anson thus becoming the first monoplane and first air-craft with retractable undercarriage to reach RAF squadron service. 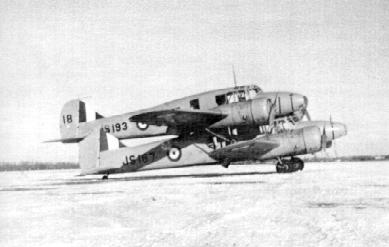 Served operationally with Coastal Command squadrons until 1940, and on air-sea rescue duties until 1942; thereafter as a trainer for pilots, navigators and air gunners, mostly with no dorsal turret but including 313 fitted with Bristol B.I Mk VI powered turrets. 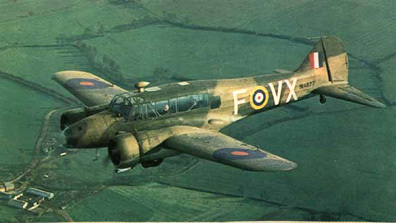 Also widely used for communication duties by RAF and other air forces, including USAAF in the UK. 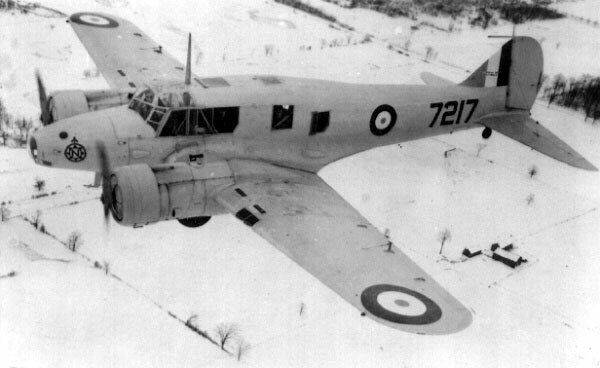 Total of 1,026 exported to Australia starting in 1936, 48 initially to equip RAAF general reconnaissance squadrons and 978 later primarily for use in Empire Air Training Scheme; also supplied to Canada (1,528), Rhodesia (79), New Zealand (23) and South Africa (768) for the EATS. 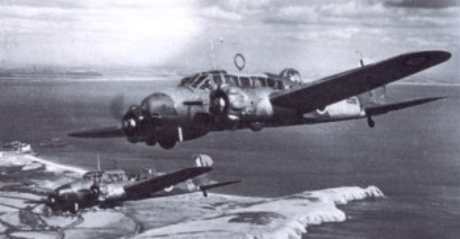 Three to Finnish Air Force, 1937; one to Estonian Air Force, 1937; four to Irish Army Air Corps, 1938; six to Turkish Air Force, 1939; 12 to Greek Air Force, 1939 of which ' some captured by Luftwaffe in 1941 and five transferred to Egyptian Army Air Force to equip a light Bomber Squadron, joining one Avro 652 Mk II and several Avro Anson Is previously supplied; several to Royal Iraqi Air Force 1938/39, destroyed May 1941; 48 to Imperial Iranian Air Force 1943/44; 17 to Free French Air Forces up to 1945, others post-War. Total Mk I production, 6,726 by Avro at Newton Heath and Yeadon. 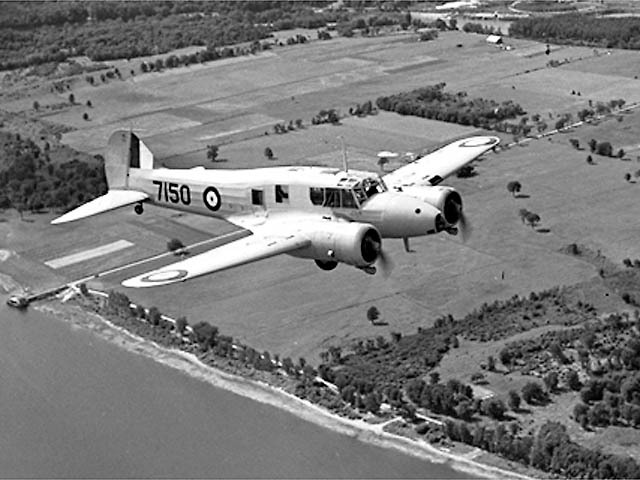 Type: Three/five-seat conversion, navigation, bombing, gunnery and radio trainer or 8/11-seat communications aircraft. 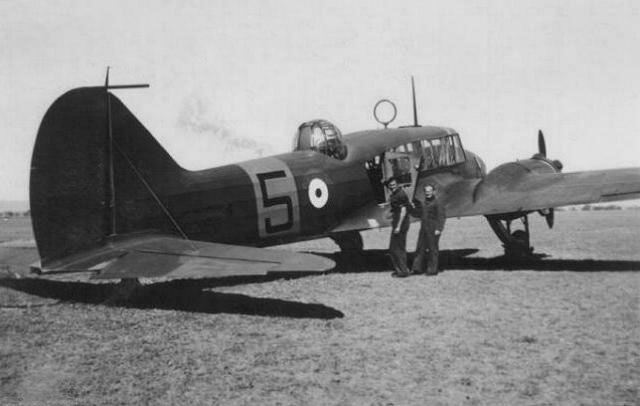 Powerplant: (Mk I): two 350-hp (261-Kw) Armstrong-Siddeley Cheetah IX radial piston engines. Performance: maximum speed 188 mph (303 km/h) at 7,000 ft (2135m); cruising speed 158 mph (254 km/h); service ceiling 19,000 ft (5790 m); range 790 miles (1271 km). Weight: empty 5,375 lb (2438 kg); maximum take-off 8,000 lb (3629 kg). Dimensions: span 56 ft 5 in (17.20 m); length 42 ft 3 in (12.88 m); height 13 ft 1 in (3.99 m); wing area 410 sq ft (38.09 m² ). Armament: one 0.303-in (7.7-mm) fixed forward-firing machine-gun and one 0.303-in gun in dorsal turret, plus up to 360 lb (163 kg) of bombs. Operators: Australia, Belgium, Egypt, Eire, Estonia, Finland, Netherlands, RAF, RN, SAAF, USAAF.